Set adjacent to Gracy’s Bar and Café in the Farmyard area of the estate. 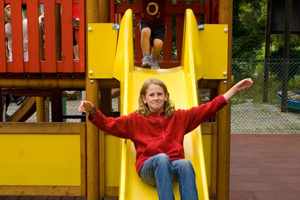 The Pirate’s Playground offers a slide, climbing frames and rockers to entertain smaller children. No glass or food allowed in playground.